The question is, why do we still need to relive this dark day in American history? Veteran Car Donations is here to answer that question and explain why Pearl Harbor survivors, veterans, and visitors from around the globe gather each year on December 7—Pearl Harbor Remembrance Day. Years before this devastating event happened, the United States and Japan had already been edging toward war. The U.S. strongly disagreed with Japan’s aggressive attitude toward China. In 1937, Japan declared war on China, which resulted in the infamous Nanking Massacre where thousands of Chinese citizens were murdered by Japanese forces. The U.S. government responded with a series of trade embargoes and economic sanctions, thinking that if Japan was not granted access to money and goods, it would eventually rein in its expansionist plans in Asia. Unfortunately, after the months of negotiations between Washington D.C. and Tokyo on how to settle their conflict, both parties stood their grounds. War became imminent. Just before 8:00 a.m. on December 7, 1941, just as the morning colors were about to be conducted at the American Naval Base in Pearl Harbor, Hawaii, hundreds of Japanese fighter planes caught the American sailors and civilians by surprise as Japanese forces made a sudden massive air strike. During the attack, over 100 U.S. aircraft and numerous naval vessels, including eight battleships, were severely damaged and destroyed, leaving more than 1,000 Americans wounded and more than 2,400 dead. The deadliest war in history happens to be the Second World War. It involved the main Allied powers (the Soviet Union, France, Great Britain, the United States, and China) and the main Axis powers (Germany, Italy, and Japan). The war started when German dictator Adolf Hitler invaded Poland on September 1, 1939. For nearly two and a half years, the U.S. strongly supported the United Kingdom in resisting Nazi Germany’s occupation of Europe. However, the huge losses that America suffered during World War I along with the residual effects of the Great Depression caused the U.S. government to be hesitant in joining its European allies in resisting the Nazi advance. 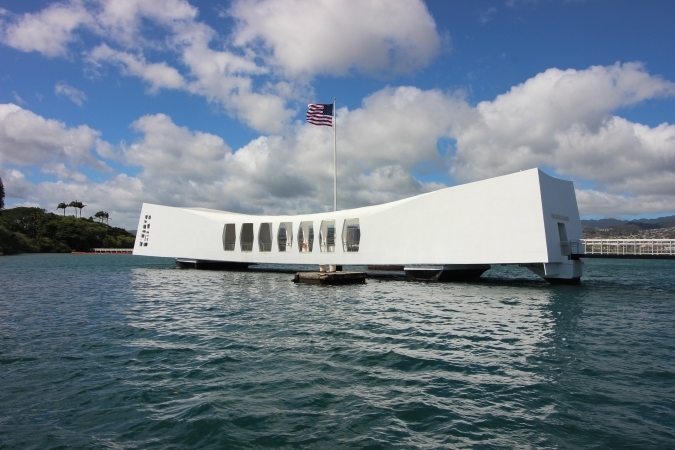 As the surprise Japanese raid on December 7, 1941 recedes further into our history, it’s important that we don’t let the memory of our brave veterans slip away. 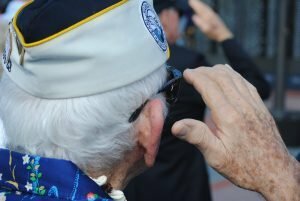 Of the 16 million Americans who served in World War II, around 558,000 American veterans from the war were estimated to be still alive as of September 2017, according to the Department of Veterans Affairs. They comprise the more than 18 million veterans living in the United States. These former military servicemen and women fought bravely in defense of all that our nation stands for and are rightly regarded as our nation’s heroes. However, despite the invaluable service they did for the country, many of these veterans are currently living under challenging circumstances. They suffer from service-connected disabilities, other physical and mental health issues, lack of jobs, and homelessness due to extreme poverty. They badly need assistance, which you can help provide by simply donating an old and unwanted car or any other type of vehicle to us at Veteran Car Donations. Your donation will enable these veterans to receive mortgage-free and specially adapted homes, free physical and mental health care services, job opportunities, education scholarships, and many other benefits. While your vehicle donation will directly impact the lives of our veterans and their families, you too will benefit since your charitable contribution will entitle you to a top tax deduction after your vehicle is sold at auction. On December 7—Pearl Harbor Remembrance Day, show your gratitude to our nation’s brave heroes by extending a helping hand. Call us at 877-594-5822 and donate a vehicle for their benefit.